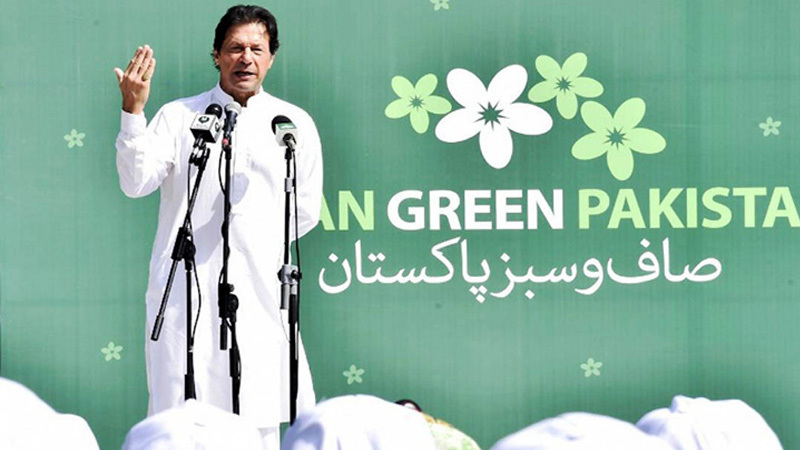 Prime Minister Imran Khan has inaugurated the Clean and Green Pakistan Drive Action Day Campaign. This Campaign was launched by planting a tree and sweeping the lawn of the Islamabad College for Girls on Saturday the 13th October 2018. Clean Green Pakistan Tabdeeli Decorous Drive Action Day to tackle the challenges of swelling pollution. It also tackle global warming with a resolve to inherit a cleaner Pakistan, even more than Europe. Holding the broom, the white-clad prime minister also picked the garbage. He dispose it of before washing hands to teach the youngsters the proper cleanliness methods. On the first day of the nationwide Campaign, ceremonies were held across the country to clean the localities and plant trees. This Campaign were also join by general public as well as the government authorities. While launching the cleanliness drive, the prime minister also interacts with students on the climate change and pollution. Students of Islamabad girls college also joins him in cleanliness and tree plantation. The PM congratulates students and teachers of the college for holding a successful launching Campaign. This Campaign is five-year long drive for a cleaner and greener Pakistan. Clean Green Pakistan Tabdeeli Decorous Drive Action Day. PM Imran also urge people to play their part in saving the environment. Therefore he share that he will be initiating and participating in cleanliness drives throughout the country. According to the PM Imran Khan, Pakistan is the seventh most vulnerable country to global warming. Most importantly, PM adds that Lahore is among the countries with the highest pollution level. Clean Green Pakistan Tabdeeli Decorous Drive Action Day. Besides that PM adds that the swelling pollution will mar the future of our upcoming generations. Therefore, after successful completion of billion tree tsunami in Khyber Pakhtunkhwa, the government had launch a five-year 10 billion tree tsunami Campaign across the country. PM says that the glaciers would be depleting fast if the world failed to tackle the challenge of global warming. Therefore the world would become unlivable for the future generation. Clean Green Pakistan Tabdeeli Decorous Drive Action Day. Besides that PM also approve a project named “Re-Charge Pakistan.” Clean Green Pakistan Tabdeeli Decorous Drive Action Day. Because this Campaign is for better management and utilization of flood waters to restore and re-charge the groundwater.